oil. 16×20 inches. Raffled in 2016 by Just For Canadian Doctors in order to raise funds for Doctors without Borders (MSF). 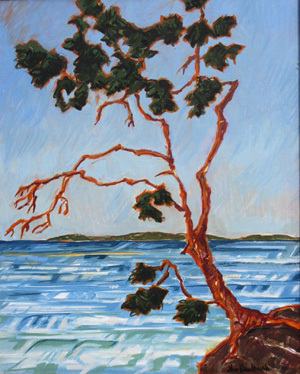 The paintings categorized as “Landscapes” were done for a series of five guide books to “secret beaches” of Vancouver Island and the Gulf Islands. Each painting is of a specific location, of course, but, for the sake of variety, the paintings employ different styles and approaches. Many of the originals have been sold, but the ones pictured below are still available. The dimensions are expressed in inches. If you don’t see information on the medium, dimensions, and price below the painting, hover your cursor near the bottom of the image. 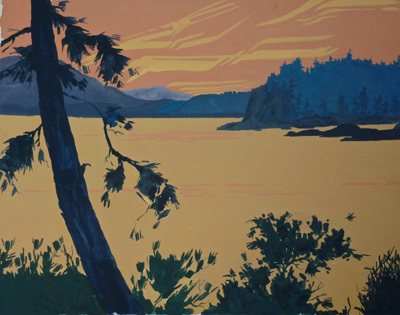 FOR PAINTINGS SPECIFICALLY OF PEDDER BAY IN METCHOSIN or PEARSON COLLEGE SEE: PEDDER BAY, PEARSON COLLEGE. Radcliffe Lane. w/c. 10×13. $280.